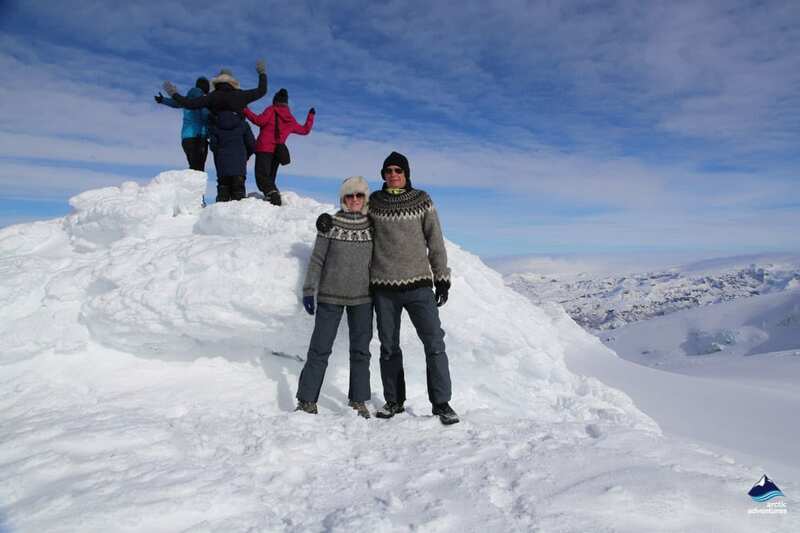 Spend 2 days in winter exploring Iceland on this exciting tour! 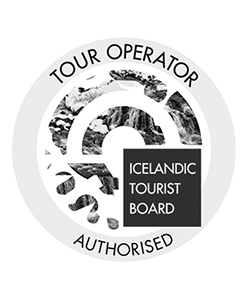 Leave the city far behind and take an epic journey into the Highlands of Iceland with our experienced guides in a Super Jeep. In winter this place is really off the beaten track! 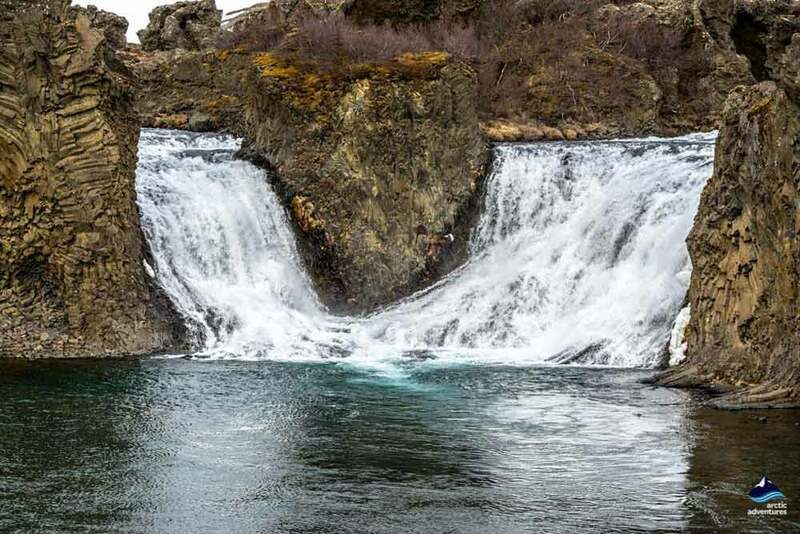 Bathe in a stunning natural hot spring pool beneath a lava field, go waterfall exploring in otherwise inaccessible valleys and hunt for the Northern Lights in the ultimate best place to do so. 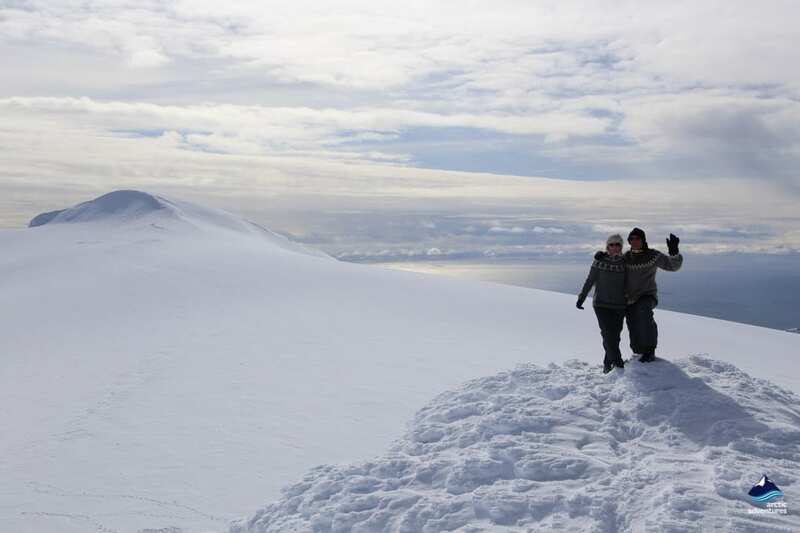 We want you to do things in Iceland that most people never dare to dream about. 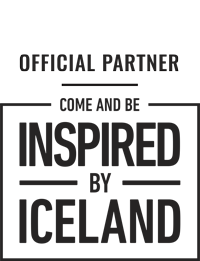 This is the trip you will tell your grandchildren about! 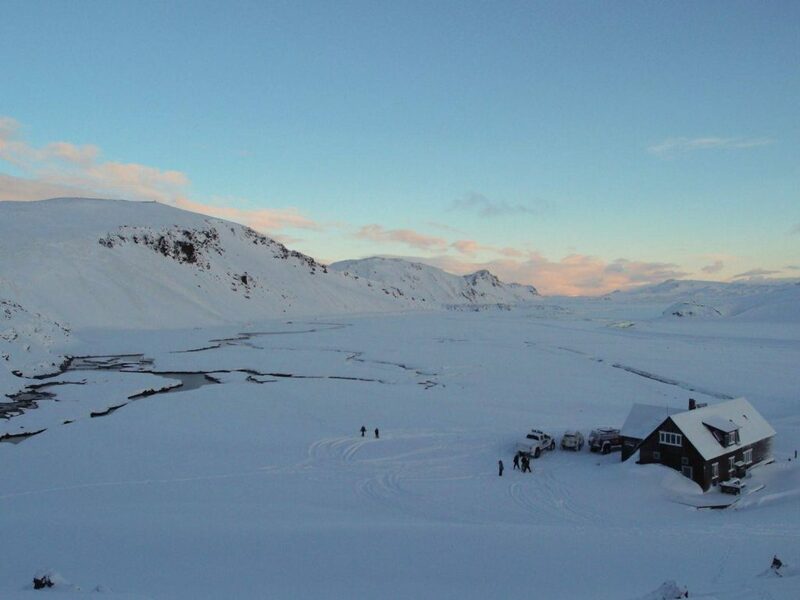 This tour is the ultimate winter adventure in Iceland. 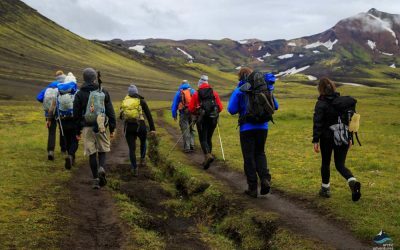 Challenge yourself on an expedition into the stunning rural landscapes of the Icelandic Highlands. 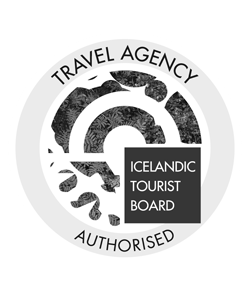 Inspired by local activities, this tour is the perfect way to do something incredible and totally out of the ordinary in Iceland, giving you a completely different dimension of winter traveling. 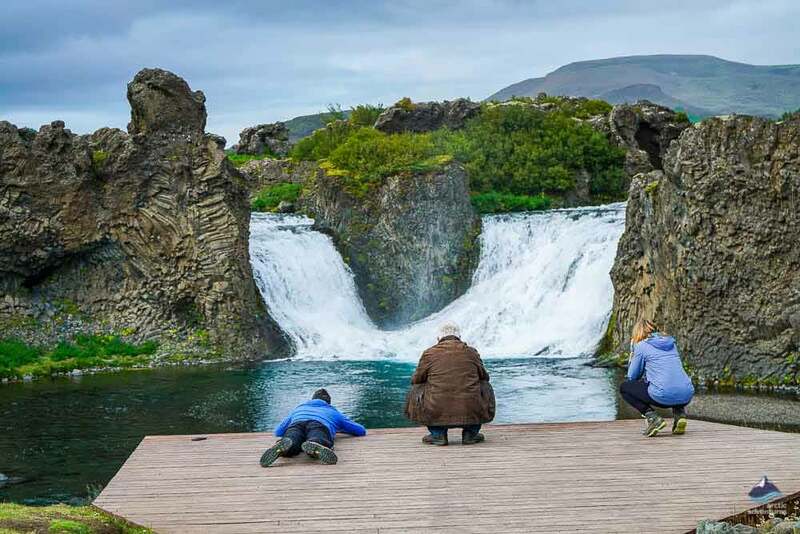 Professional guides and participants work together to make our time spent waterfall exploring, hiking the colorful Rhyolite mountains and bathing in the hot spring pool the most exciting and memorable trip ever! 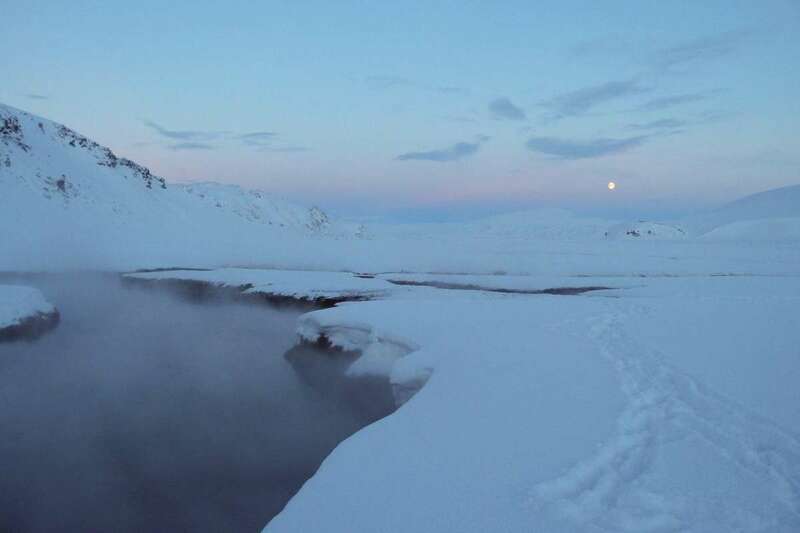 Don’t let winter stop you, join the adventurers on a 2-day tour inside the snow-covered geothermal wonderland of Landmannalaugar. 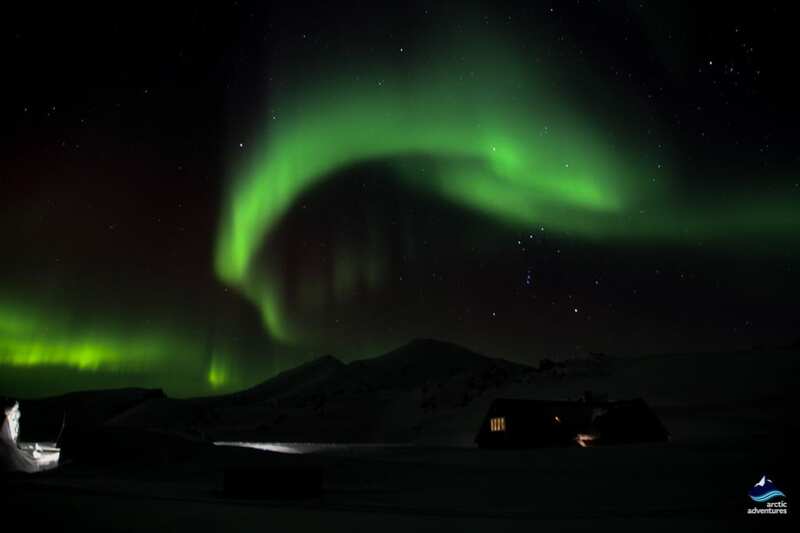 There is no better place to witness the brightest of Northern Lights than the Icelandic highlands and that is exactly where you will be. 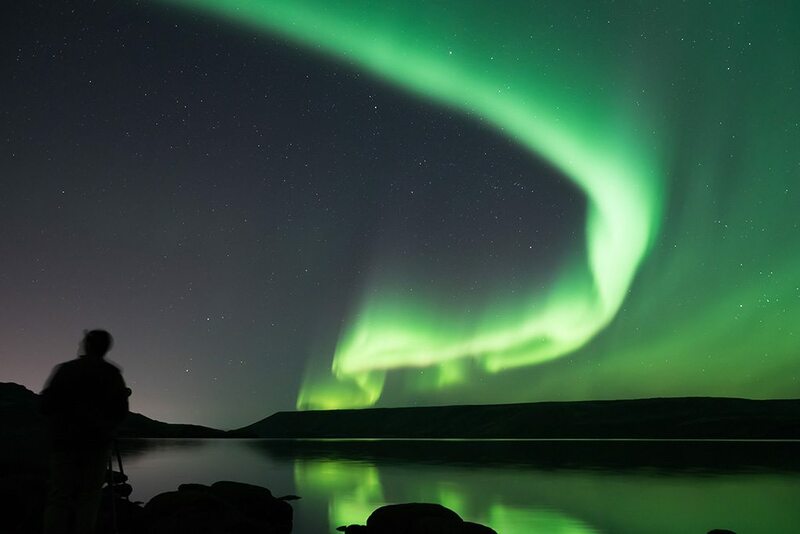 Treat yourself to a Super Jeep Ride, drive along the river Þjórsá and past the famously gorgeous Ugly Puddle or Ljótipollur, enjoy the hill surrounded Lake Frostastaðavatn and soak in the natural wonder in a hot pool right under a lava field. 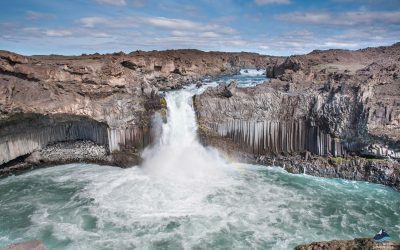 The day after will be a waterfall-themed-day with stunners such as Háifoss, Hjálparfoss and Urriðafoss on the itinerary. 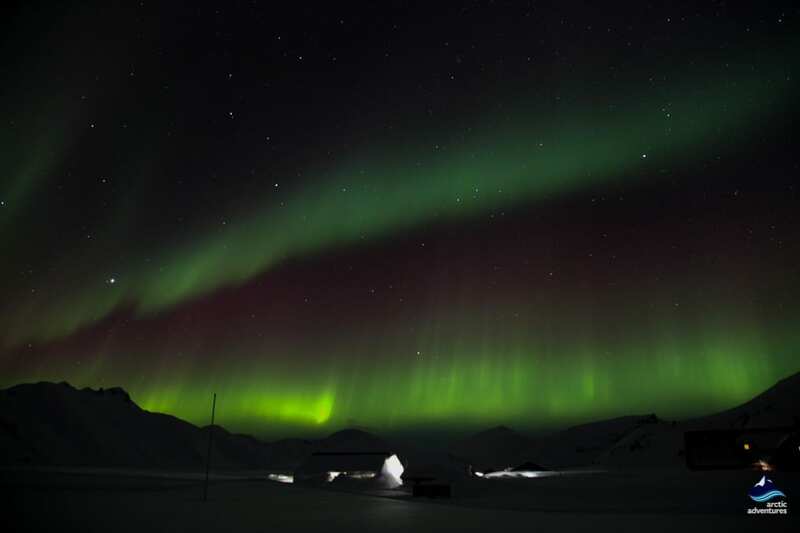 The icing on top will then be a stop at the Commonwealth Farm at Stöng, where a turf-house farm has been reconstructed making it look just like the houses Icelanders used to live in. 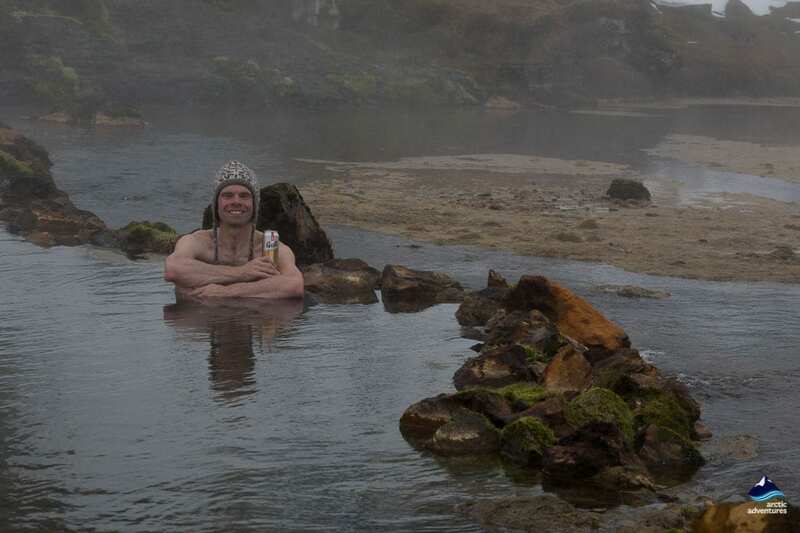 Get a glimpse into the life of the Vikings here on the island of ice and fire. Please try and keep your luggage as compact as possible (we offer free luggage storage). 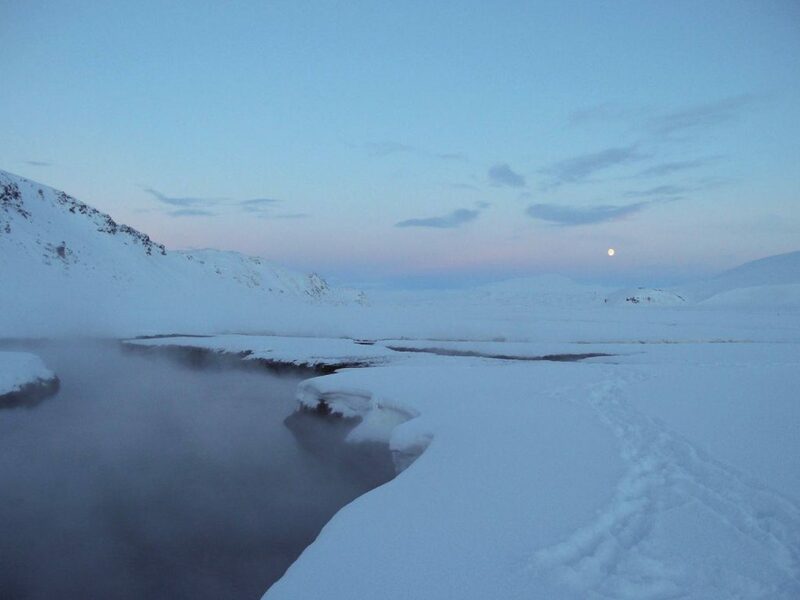 The day starts with a pick up your chosen location in Reykjavík. From there we will start to make our way out of the capital and into the countryside. 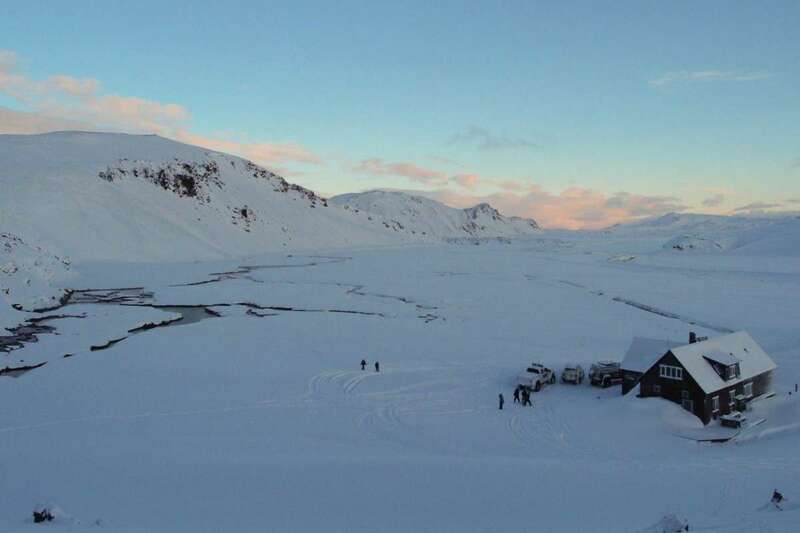 The views on today’s road trip are extraordinary including the famous Hekla volcano, Thjorsardalur valley and the mountains surrounding Landmannalaugar. 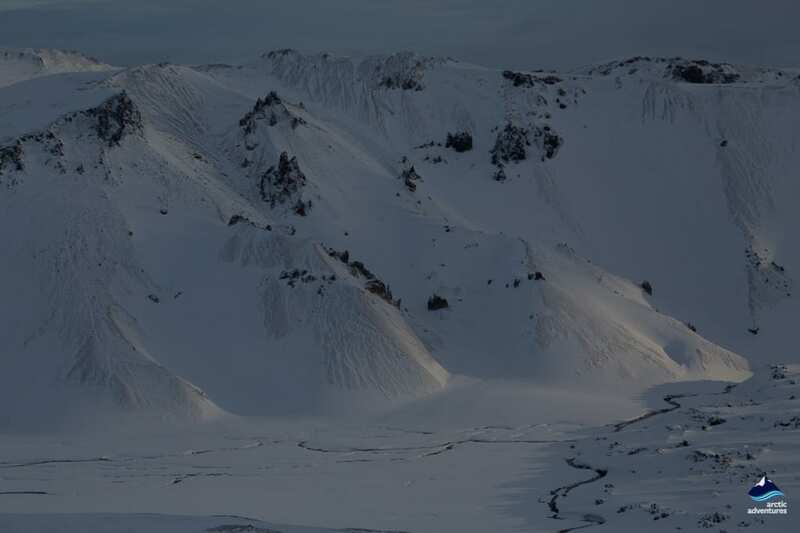 The Super Jeep will come in handy accessing the snow-covered geothermal wonderland. We will stop for lunch at the Hrauneyjar Highlands Center, the last trace of civilization for a while. 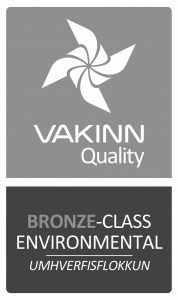 We will drive through vast scapes and lava fields past colorful lakes such as Hnausapollur, Ljótipollur e. Ugly Puddle and Lake Frostadavatn. 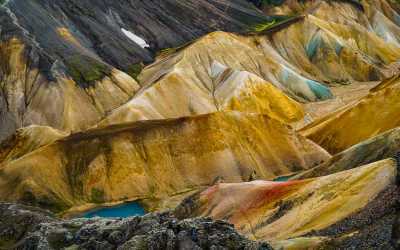 When you reach Landmannalaugar it will truly feel like you just stepped into an abyss of geothermal magic. 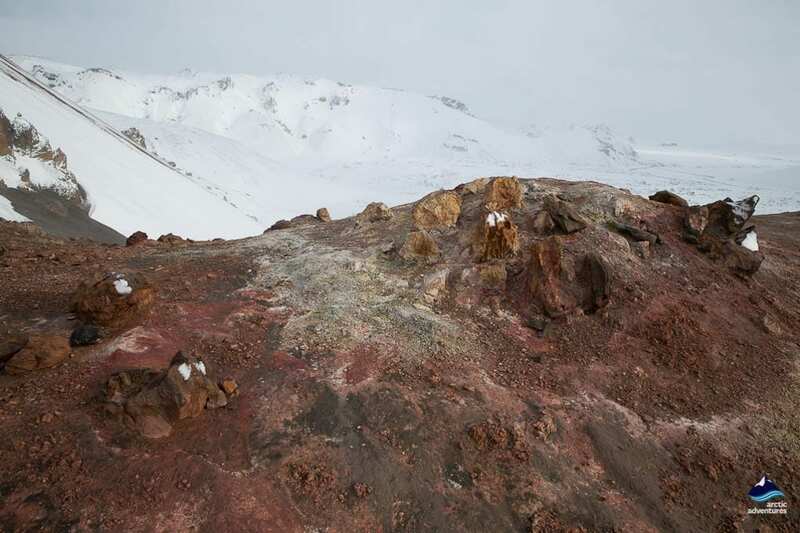 Colorful rhyolite and basalt volcanoes, mountains, and hot springs surround the area and now we are off on a hiking adventure before bathing in the steamy hot pools that naturally formed after a volcanic eruption. 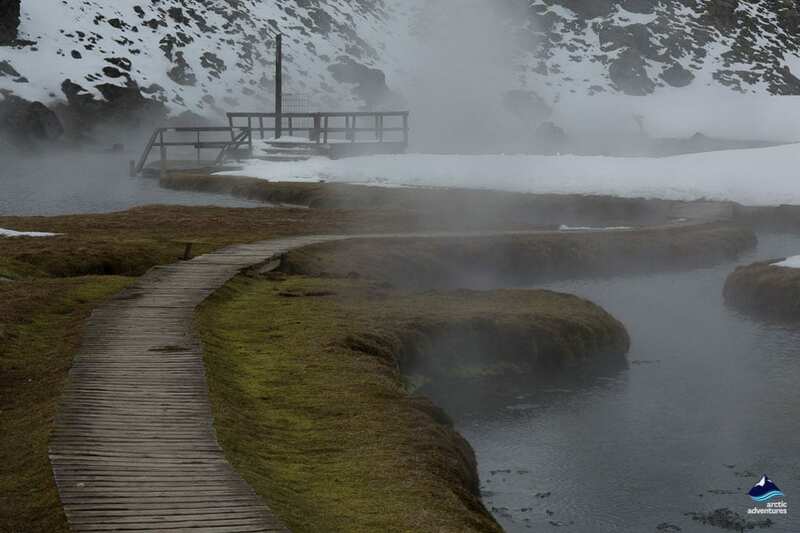 The combination of snow-covered lava fields and natural hot springs is just perfect and the experience is one that will not be forgotten. After spending plenty of time in the complete serenity inside Landmannalaugar we will step into the Super Truck again and head over to our cozy accommodation for the night. 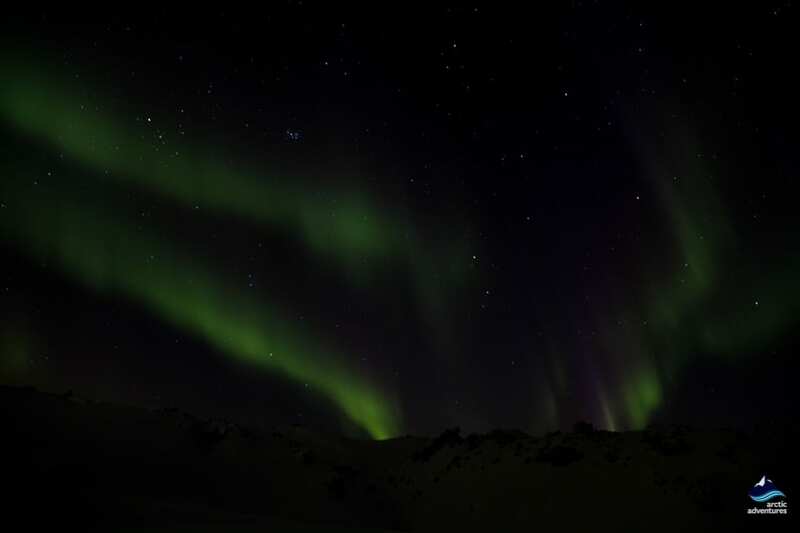 It’s time to fill up the energy bar after a day of adventures which will most likely be topped off with a magical Northern Lights dance show in the incredibly dark Arctic Sky. The day starts with a complimentary breakfast at the hotel Hrauneyjar after a good night’s sleep. 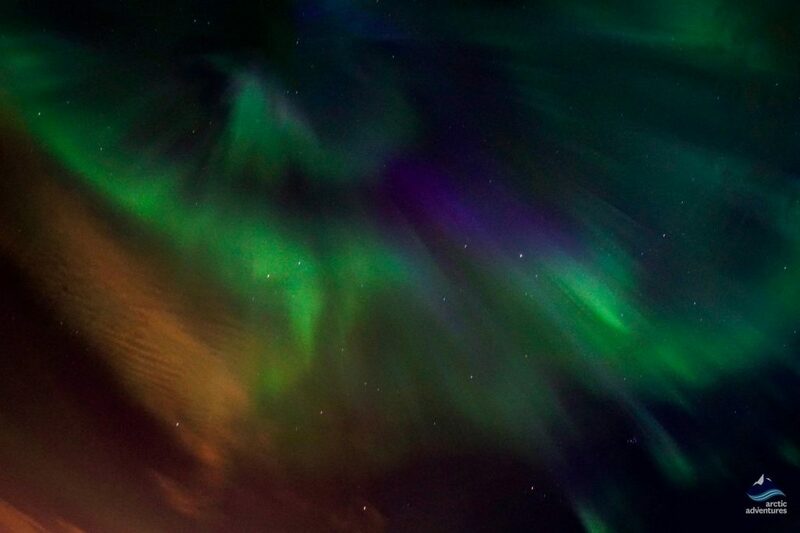 The day is packed with incredible sights! 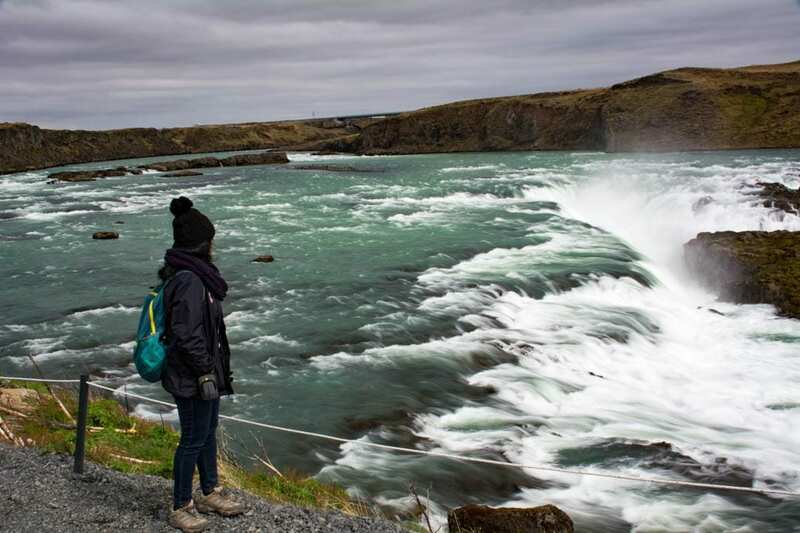 The first stop of the day is at Hjálparfoss e. Helping Falls, a two plunge water combo set up above a stunning lake. The perfect scene! 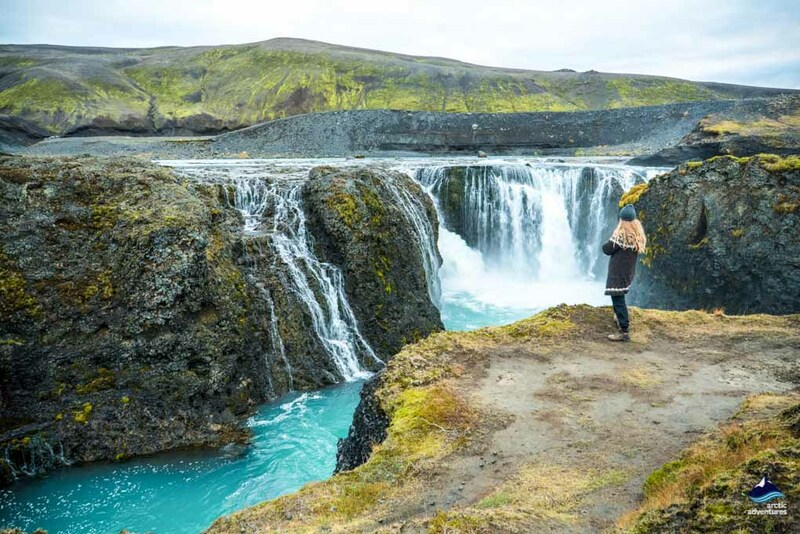 Our second stop is at the picturesque Háifoss waterfall that plunges down in a narrow vertical drop and is often talked about as the fourth or third highest waterfall in Iceland, depending on who your ask. After this it’s time for some history, we will make a stop at the Commonwealth farm, Stöng e. Pole. There they have done reconstruction on an old turf house, giving you a chance to step back in time and explore the life of the Vikings. But no worries, the waterfalls sensation is far from over, the waterfalls along the Thjorsdalur valley, where the longer river in Iceland Thjorsa runs, invites you on plenty more. Including Sigöldufoss and Urriðafoss. 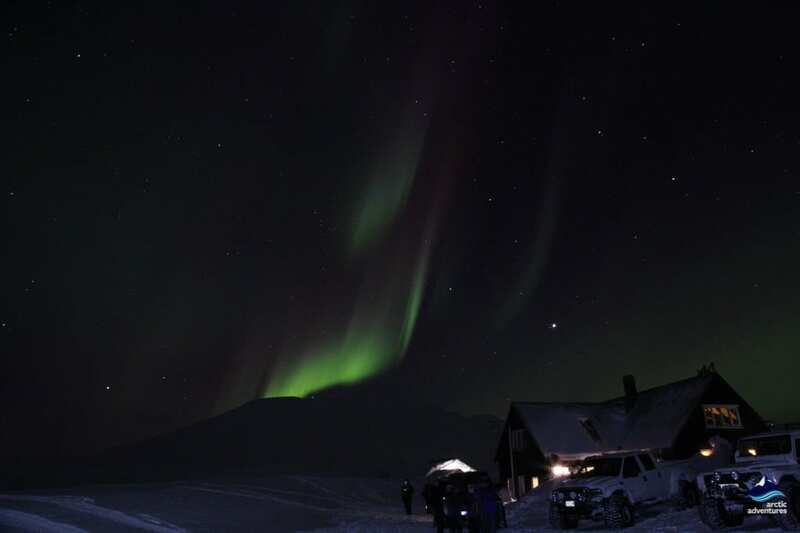 After a busy day of stunning sight, famous attractions and hidden gems we will start to make our way back into Reykjavík where you will be dropped off at your accommodation.